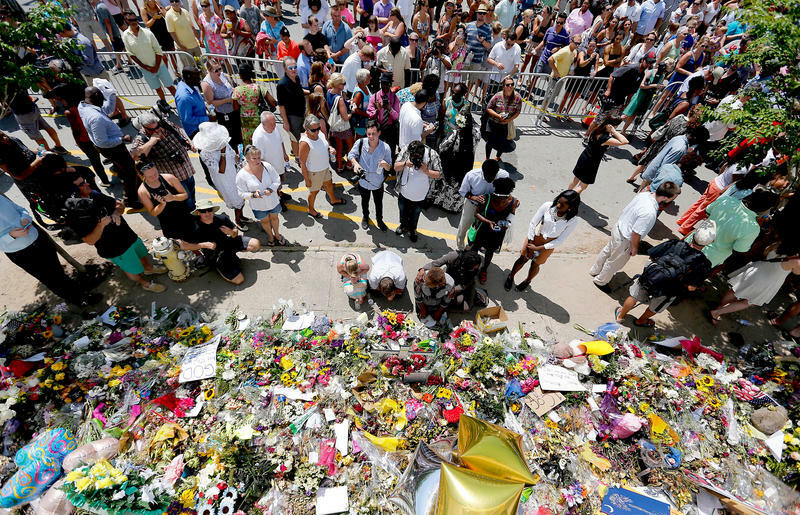 The Southern Poverty Law Center ranks Texas as third in the nation for the most hate group. The state has up to 55 hate groups amid a two-year surge in membership in the so called Alt-right organizations. But Texas and Hate groups have a long history. And the history of the Ku Klux Klan in Texas is told in the new book “Ten Dollars to Hate – The Texas Man Who Fought The Klan.” Author Patricia Bernstein tells us that in the early 1920s the number of Americans who were members of the Klan was in the millions. Ten Dollars to Hate tells the story of the massive Ku Klux Klan of the 1920s—by far the most “successful” incarnation since its inception in the ashes of the Civil War—and the first prosecutor in the nation to successfully convict and jail Klan members. Dan Moody, a twenty-nine-year-old Texas district attorney, demonstrated that Klansmen could be punished for taking the law into their own hands—in this case, for the vicious flogging of a young World War I veteran. The Georgetown cases were the beginning of the end for this iteration of the Klan. Two years later, the head of the Klan in Indiana was convicted of murdering a young woman. Membership dwindled almost as quickly as it had grown, but the Klan’s poisonous influence lingered through the decades that followed. 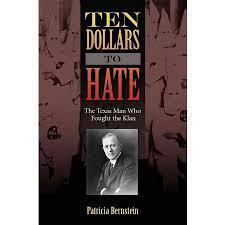 Ten Dollars to Hate explores this pivotal—and brutal—chapter in the history of America. PATRICIA BERNSTEIN is the author of The First Waco Horror: The Lynching of Jesse Washington and the Rise of the NAACP and the president of Bernstein and Associates, a public relations firm in Houston. She has published articles in Texas Monthly, Smithsonian, and Cosmopolitan. Vincent Valdez’s art studio is in an old San Antonio fire station built in 1910. Above the entrance stands a vintage statue of a vigilant fire fighter clutching his ax. Many people know that during World War II, the United States created a system of internment camps for resident aliens from Japan as well as American citizens of Japanese descent. However, what’s not generally known is that some Germans and Italians were targeted as well. They, too, were put into camps. Some of them were deported.